It comes down to programming. Most of us have faulty software due to messed up input during our early years. Most of us do struggle with finding happiness in love… simply because we fail at finding happiness in life. 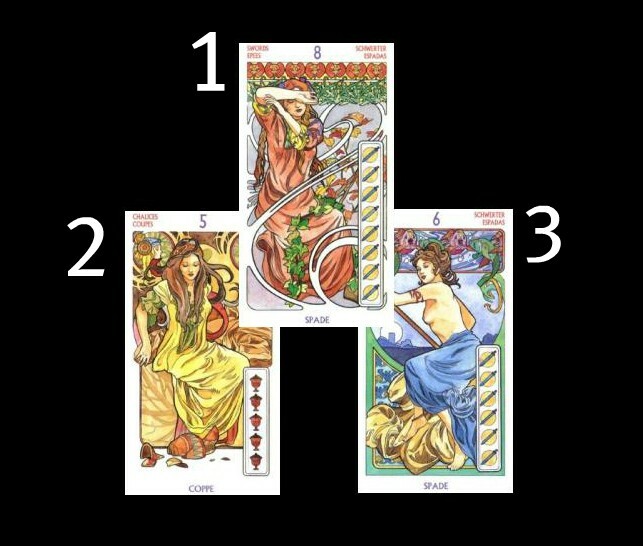 As a tarot reader, I find that people often come to me with the expectation of bringing them good news – something that will make their lives happy again. They expect Fate to fix what they themselves refuse to work on. Please understand that the old cliché “God helps those who help themselves” is more than just a cliché! Life is suffering. That’s got to be right… right? Even Buddha said that the essence of life is suffering. Wrong! Life is a precious gift and if you to choose to cherish it as such, your chances of attracting someone really great will improve by a thousand percent. Think about it… Who would you rather be with? Someone who knows how to enjoy life or someone who would rather be anywhere but right here, right now. Start feeling this truth: Life is an awesome adventure! Radiate this truth and people will be attracted to you. Simples. I am a victim of circumstances. Wrong! You are always free to choose your responses to any circumstances. The responses you choose form the foundation for the choices you will make that take you forward. If you see yourself as victim you will remain passive rather than taking responsibility for your own happiness. In relationships this means that you secretly resent the other person failing to make you happy. The truth is, no one can make you happy but you! Judging others (or myself) allows me a sense of self-righteousness that empowers me. Wrong! You empower no one by placing blame or judgment on others. However, once you let go of the need to judge another person completely, you will be free to live and let live and are able to use all your vital life force to create the life of your dreams. A judgmental attitude is a defense mechanism that is extremely effective at keeping your heart shut. Not only does it prevent you from having loving relationships, it also creates dis-ease on the physical level. By not forgiving those who hurt me in the past, I show that I don’t condone wrong-doing. Wrong! Forgiveness isn’t about condoning wrong-doing, nor is it something you do for the other person. You forgive/release those who have wronged you so that you can free up your own energy. If you have a tendency to cling to past hurts inflicted by your partner (and even the most loving partner sometimes unwittingly hurts the one they love) you will never succeed at being happy in a relationship. Love hurts. This is one cliché that is not true! Love doesn’t hurt. The defense mechanisms the ego puts in place to avoid pain is what makes us hurt. Rejection may hurt but it’s often true that the fear of rejection hurts more than the rejection itself. If we live with the expectation that love is going to hurt, we will find ways of proving the truth of this belief to ourselves. Love only hurts until we learn to be our own source of happiness… and this brings us back to the first erroneous program: Life is suffering. Art Noveau Tarot © Lo Scarabeo. All rights reserved. You may also wish to pull an Angel card for further spiritual guidance. Do invoke the help and protection of the Angels to help with stopping faulty programming. They are experts at this sort of thing – especially your guardian Angel who has known you since before you were born and thus knows the real you, the one who is hiding behind the negative thoughts. This real you is the only one who can create the kind of love relationship you long for deep down.